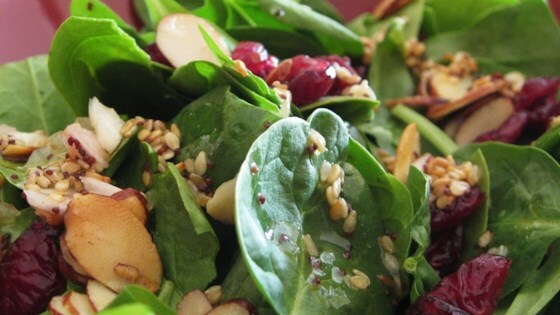 Make a healthy spinach salad with a tangy, tasty vinaigrette. Fantastic! The only changes I made is I cut the sugar down to 1/4 cup, and the oil to 1/4 cup as well. I will be making this alot!